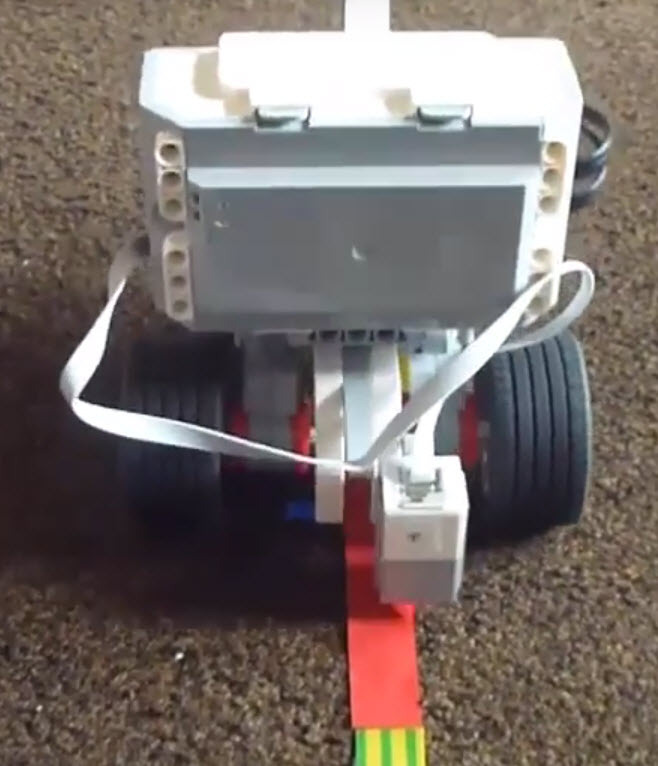 12) Robot Follows Black Line - Tutorial. 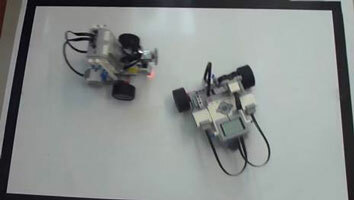 "Following a line" is a classical problem in robotics. In this tutorial we learn how to teach YayaBot to follow the edge of a black line on a white background, using one colour sensor. It is important that there is a clear distinction in shade between the white background, and the black line itself. This skill has a potential use in many competitions (e.g. RoboCup Junior and First LEGO League). To see an overview of this line following tutorial, click on the link below, or type this link into your web browser. To find out the theory of how we could use YayaBot's colour sensor to detect the edge of a line, click below. 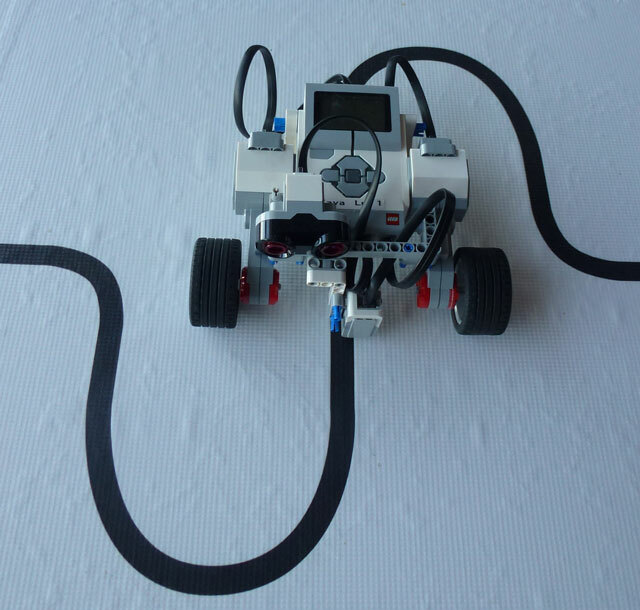 To find out which EV3-G coding commands we can use to teach YayaBot to find the edge of a black line when starting from a white surface, click below. To find out how to bring all these EV3-G programming commands together, to teach our robot to follow the edge of a straight or curved line, click below.